Our villa has a team of full time, permanent staff. They are available 8 hours a day/6 days a week to clean, maintain the villa and to look after our guests. They are a close team and they will make your stay comfortable, relaxed and pleasant. We have been fortunate that they have been working for us for almost 8 years. 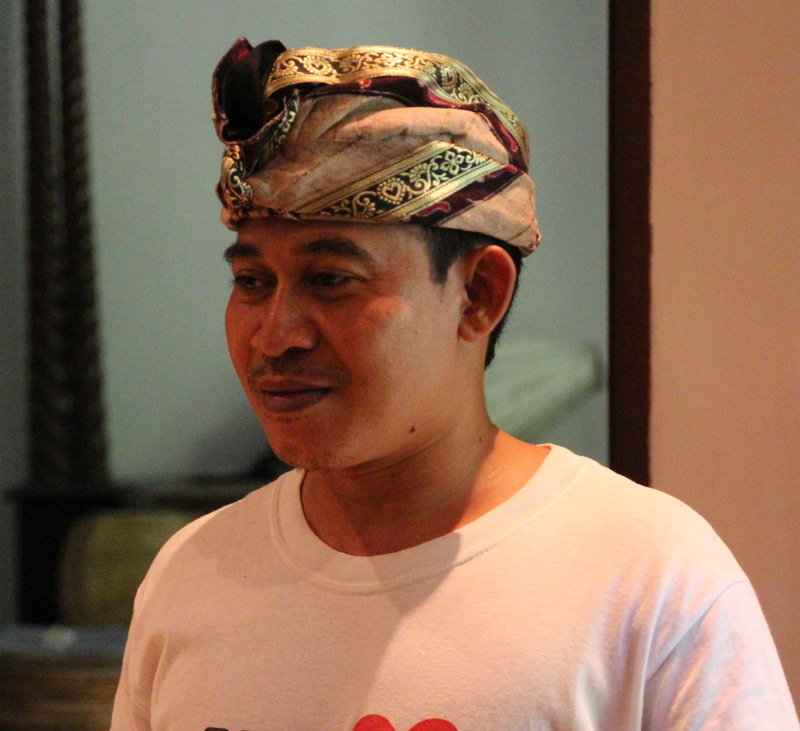 Wayan is responsible for the smooth running and the maintenance of the villa. He is very good with guests, relaxed and friendly. Wayan is also very helpful and he can advise you on most local matters ie restaurants, shopping, supermarkets, and Balinese culture and traditions. Apart from Indonesian & Balinese, he also speaks English and a little French. He is a very good cook and gives Balinese cooking lessons (at an extra charge). 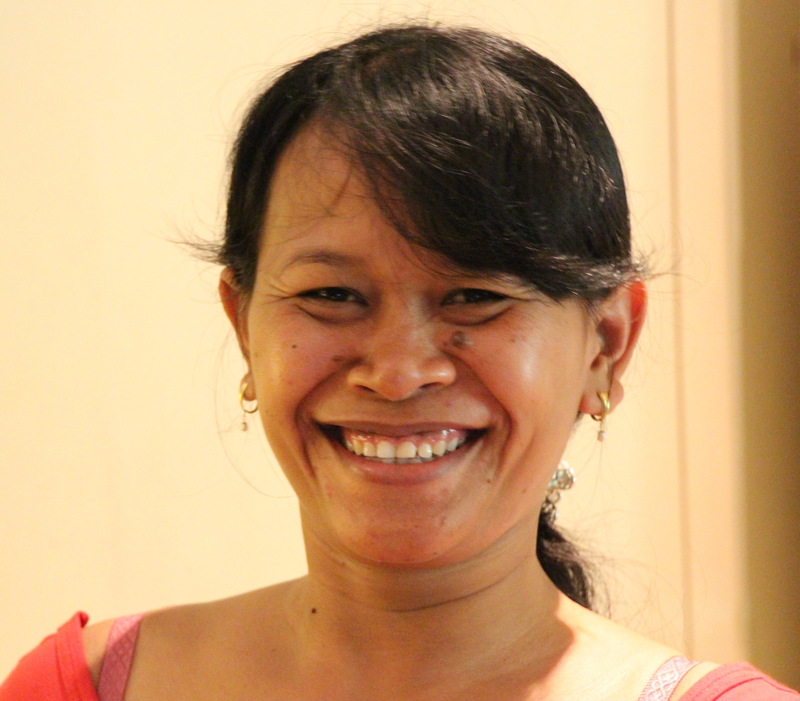 Komang is responsible for cleaning and making up the bedrooms, as well as looking after our guests. Komang is also a good cook and also helps in the kitchen. She is also very good with our guests, particularly with children. 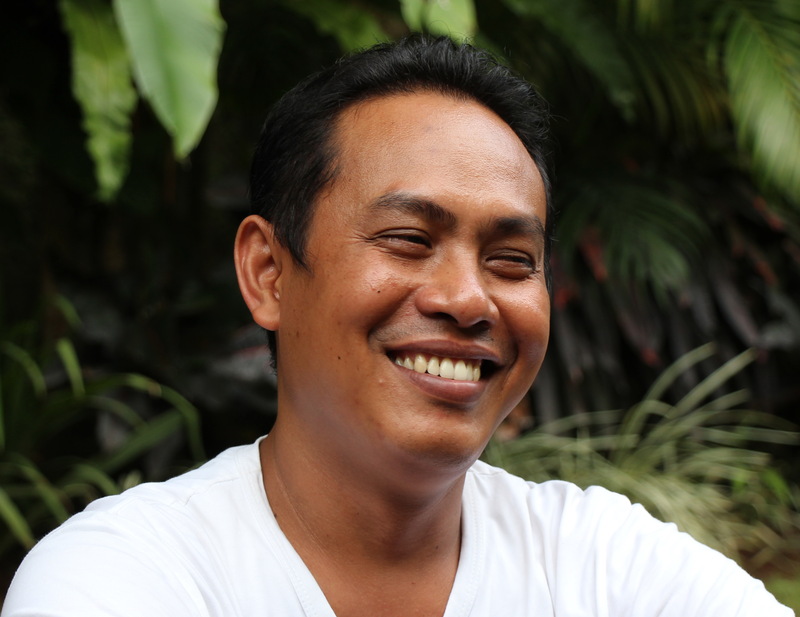 Nono is responsible for the garden and he helps with the general cleaning, maintenance of the villa and making up the beds, together with Komang. He also helps in the kitchen.